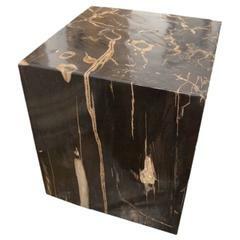 Contemporary Italian sliced black and grey colored polished petrified wood top. Black metal base. 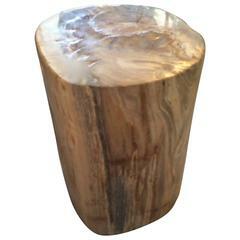 A pair of petrified wood side tables on chrome bases.